A recent study shows that more than two billion adults and children across the globe are overweight or obese and suffer severe health problem because of their weight and the United States of America is leading in such cases. Which indicates that one-third of the world's population are overweight, due to several reason like urbanization, poor diet and less physical activity, reported CNN. 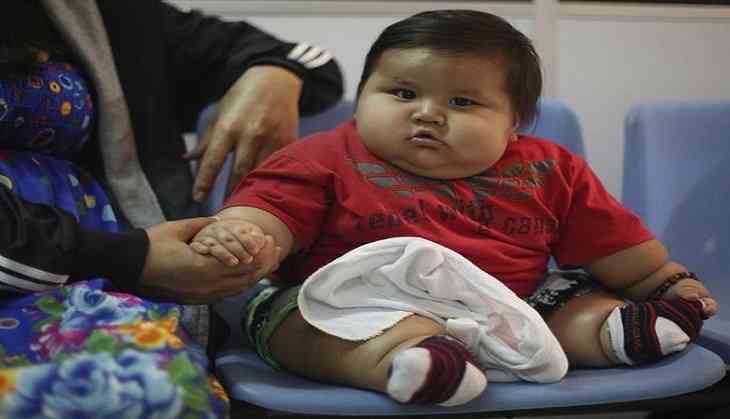 United States tops the list of the percentage of obese children and young adults, which constitute around 13% of the total population, followed by Egypt which led in term of adult obesity, with almost 35%. While in 2015, where only 2.2 billion people were obese or overweight, more than 710 million of them were classed as obese, in which 5% of the total number was children and other 12% was adults. The increase in the number is resulting in increase in health problems linked to being overweight, such as cardiovascular disease, said the study, published in the New England Journal of Medicine. According to the study, almost 4% of the four million dying due to their higher body mass index were not yet obese. The study was conducted after collecting data 68.5 million people between 1980 and 2015 to examine the trends and figures of overweight and obesity rates. The analysis revealed that the number of people affected by obesity in 73 countries has doubled since 1980 and it has continued to rise across most other countries included in the analysis. The report also revealed that the obesity levels were higher among women than men across all age groups. Kaala Karikalan : Rajinikanth's gangster drama to release before 2.0 ? READ NEXT >> Kaala Karikalan : Rajinikanth's gangster drama to release before 2.0 ?